It’s proving to be a terrible day for salesman Anand Kumar. For the past four hours, he’s been walking around the streets trying in vain to sell his handmade notebooks. Just 20 rupees for a dozen pads, “but what can I do? I’m trying my best!” sighs Mr Kumar. 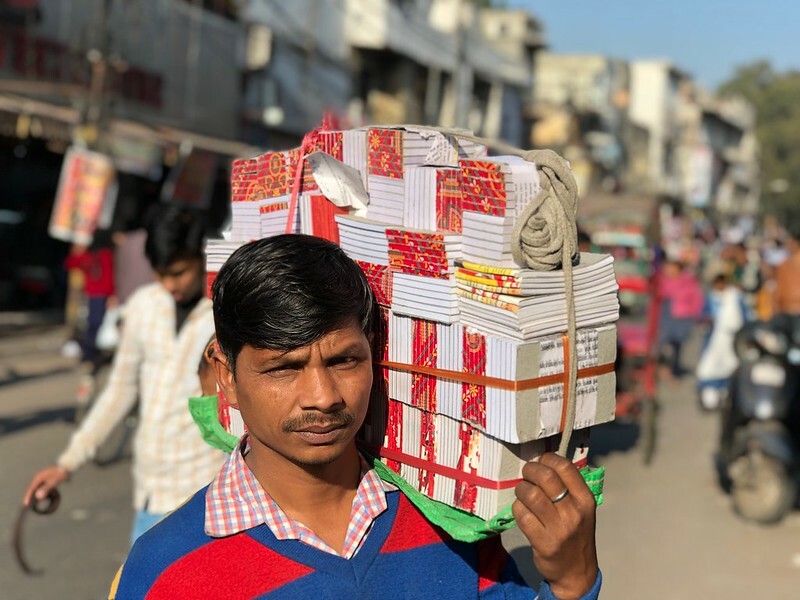 This man is a surprising sight as The Delhi Walla had never seen a street vendor hawking handmade writing pads before. I fall into conversation with him in west Delhi’s Naraina on a lovely sky-blue day. There’s little doubt that his project is environment-friendly, to say the least. 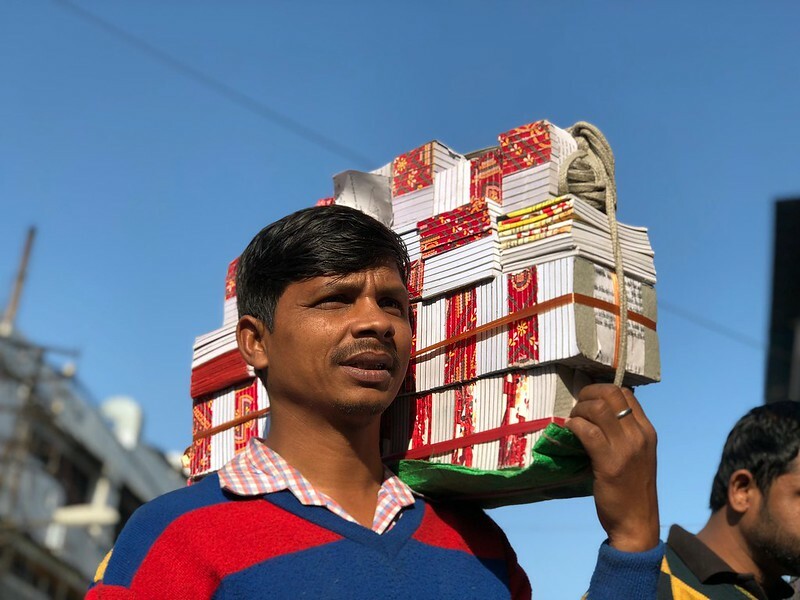 He collects discarded paper from Sadar Bazaar and then cuts and sticks it into tidy 50-page pads — smaller than the palm, resembling office post-its. All this is done at his family home in Seelampur with assistance from his wife. He then heads out to sell this recycled product. 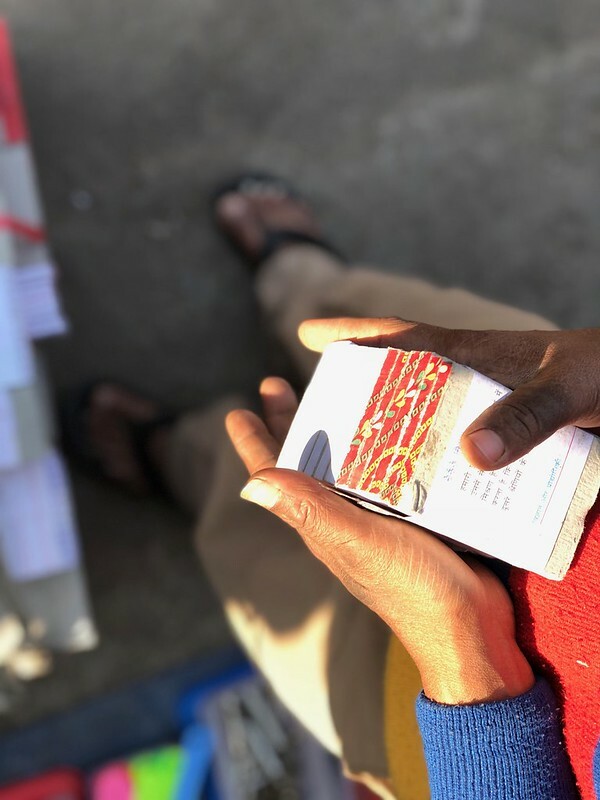 He considers himself lucky if he can pull in 6,000 rupees a month, he says. 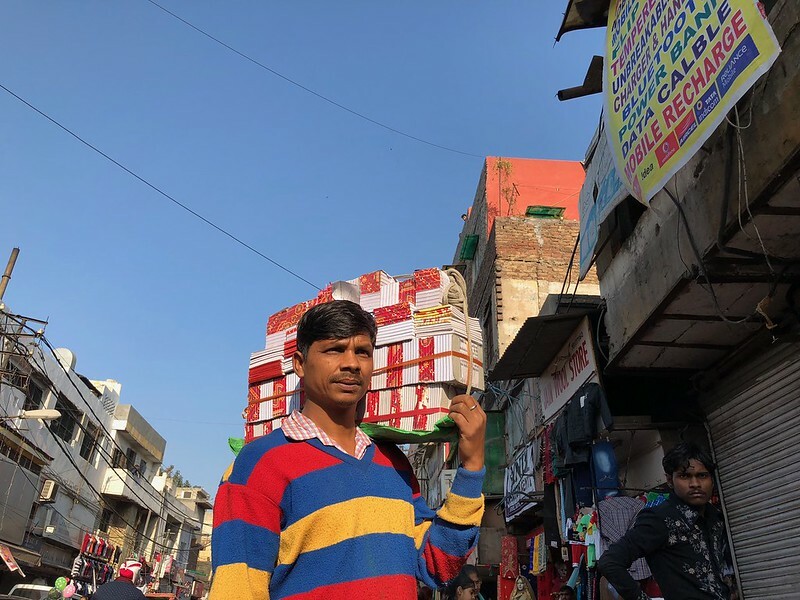 “But what I really want is a good job.” Mr Kumar arrived in Delhi about five years ago from a village in UP’s Etawah district. “There just weren’t any jobs there,” he says. 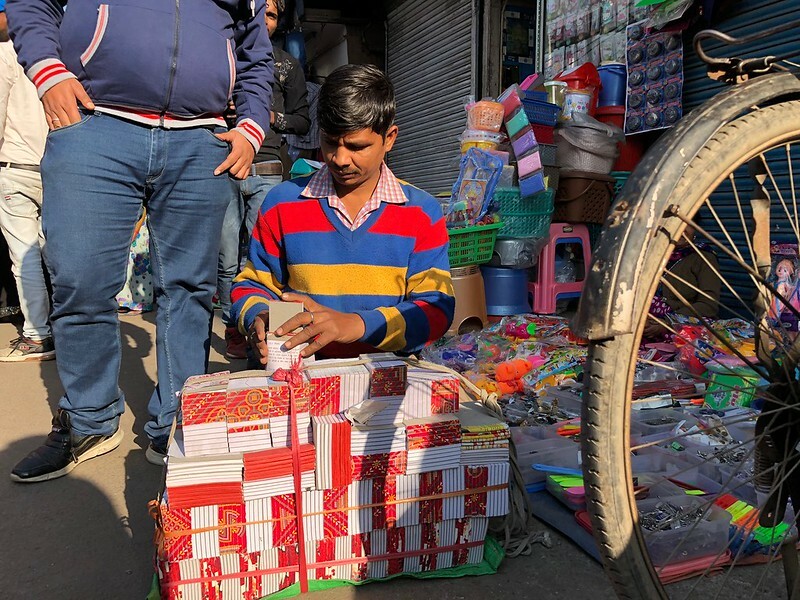 Mr Kumar plans to go on making and selling notepads until something more lucrative turns up. “It’ll work out,” he says hopefully, before returning to the streets to ferret out customers.